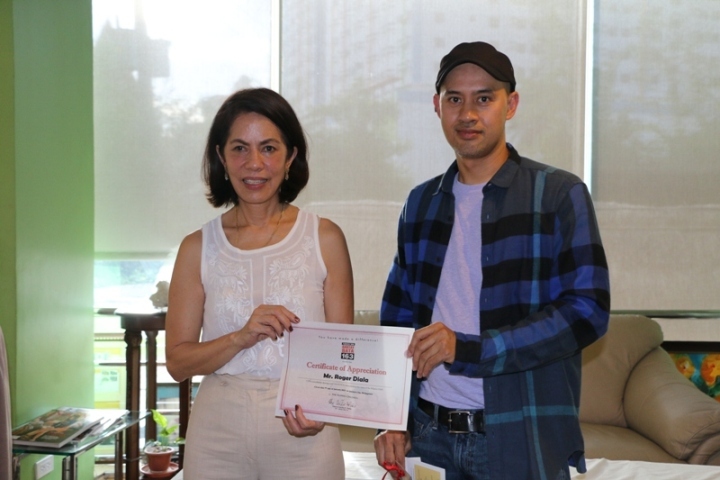 Roger Diala receiving his certificate of appreciation from Gina Lopez (ALKFI Chairman), after donating to Bantay Bata 163. A Fil-Am based in Los Angeles, California, Roger Diala, visited ABS-CBN Lingkod Kapamilya Foundation to personally hand-over his donation to Bantay Bata 163. Roger has been donating online to Bantay Bata even before through the ALKFI’s website, abs-cbnfoundation.com, and to Sagip Kapamilya to help children and families.